Computer accessories such as the mouse are rarely designed with the ergonomics of the user in mind. Functionality, price, and design are the most critical factors that designers look at. However, individuals who use computers for long hours develop discomfort from the frequent use of the mouse in an unusual posture. The standard mouse is known to cause this discomfort, and prolonged use can cause a condition known as the carpal tunnel syndrome or repetitive strain injury. The vertical mouse was developed to eliminate these strains by helping users to adopt the right posture of the arm. Studies show that people who have early signs of the carpal tunnel syndrome can reverse the condition. The next discussion explains how the vertical mouse works and what to look for when buying one. If you are looking for a mouse that helps you reduce the chances of the developing injury or a more comfortable way of using the device, here's what you should look for. An ergonomic mouse should provide a firm grip. You can test how it feels on your shoulders, elbow, and wrist before buying it. Be sure to get a neutral posture on your wrist and hand and a proper handgrip. Getting the right grip involves knowing the correct size of your hand and the texture of the mouse. 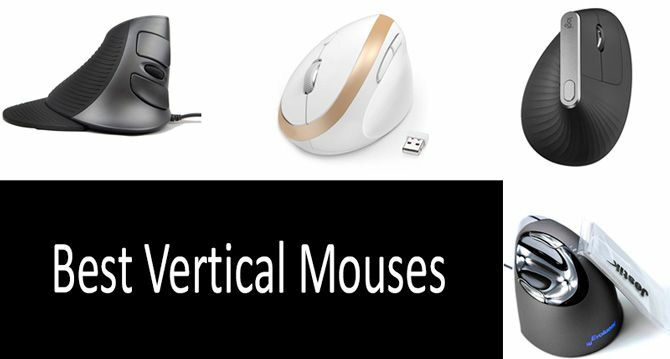 Vertical mice have different sizes; large, medium, and small that you can choose from. When it comes to texture, an ergonomic mouse should have a smooth texture or a non-slip rubber surface, so be sure to factor in this features that enhance the user's ergonomic experience. The buttons increase the functionality of the vertical mouse. Most devices have buttons fitted at the back while others are added on the side to provide additional control on the mouse. The buttons have different features hence, the need to inquire about their use before buying. If you are buying the mouse for gaming, look for one that does not have the extra buttons as it could be problematic when using it to play. This feature is essential for left-handed users as they have to look for mice designed for them. Alternatively, you can purchase a mouse that has an ambidextrous design as it can be used by both right and left-handed users. It is another vital feature for individuals who have trouble lifting the mouse from the desk or the mat. A stable base makes it easy to position the device on the surface and enhance productivity when using the computer. This feature allows you to adjust the speed of the cursor, so you can control how fast or slow you are going to use it. An adjustable DPI comes in handy when you are using the mouse for gaming. The contours determine your level of comfort. They should be smooth since rugged edges may be a little irritating. The size of the mouse also contributes to your comfort; it should easily fit on your palm. People with small palms should buy medium or small sized devices. Also, check the weight of the device; a vertical mouse that is too light may be inaccurate while a heavy one is stable but challenging to maneuver. This vertical mouse features a natural ergonomic design that allows users to rest their arm in the natural handshake position of the wrist and the arm for less strained movement. It is fitted with an additional next/previous button for more convenient web-browsing, gaming and use for individuals spending long hours on the computer. The Anker mouse also has an 800/1200/1600 DPI resolution optical tracking technology that enhances sensitivity compared to the regular flat mouse. This feature allows smooth and more accurate tracking on a range of surfaces. It is designed to switch to a power saving mode if left idle for eight minutes. The Anker 2.4G Wireless Vertical Ergonomic Optical Mouse has a comfortable construction, making it great for users who have elbow pain or carpal tunnel syndrome. Its use of 2 AAA batteries ensures it lasts for a long time. However, it may be uncomfortably large for some users. This mouse features a vertical, ergonomic design that reduces torsion in the wrist and forearm while providing a firm grip when using it. Its heavy-duty plastic ensures it lasts long while creating a smooth feel for the user. The J-Tech Vertical mouse has 600/1000/1600 DPI modes that enhance sensitivity and a scroll endurance feature that comes with a detachable palm rest to minimize drag on the surface. The scroll endurance feature also provides adjustable sensitivity for users to change on-the-fly using the DPI button. Its additional two-thumb buttons perform forward/back functions when navigating the screen. This mouse is excellent for those looking for a digitized version of a vertical mouse. The wired construction means you just need to plug it into a power outlet while its high-resolution provides seamless performance for enhanced productivity. Its comfortable form also appeals to many users. This mouse features well-designed, contoured edges to support your palm, thumb, and pinky finger. Its smooth movement prevents wrist strain while the optical tracking technology ensures enhanced sensitivity for accurate tracking on various surfaces. 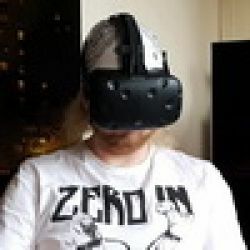 Additionally, the 2.4GHz wireless feature provides a stable connection and is not subject to interference within a range of 10 meters. The Jelly Comb vertical mouse is compatible with Windows 7,8,10, and Linux operating systems. The shape of this mouse is designed to allow the arm to sit neutrally without twisting or applying excessive pressure on the wrist. What's more, its extra-wide lip fitted along the bottom edge ensures your finger does rub against the desk. The mouse has programmable buttons that are easy to reach, and the thumb rest features an upgrade from the previous versions for additional comfort. Pointer controls fitted on the side allow easy adjustment of the laser sensor, meaning that you don't need to release the mouse. The mouse is compatible with Linux, Windows, and Mac computers. The mouse features a unique 57-degree tilt for a more comfortable posture and performance. The twist allows the user to rest his hand naturally, eliminating strain. Its premium feel and finish provide a stylish appearance while the combination of aluminum and rubber provides a smooth feel. The mouse is fitted with a 4000 DPI high-precision sensor that makes it extremely efficient and accurate when tracking. It is designed to reduce hand movement by up to four times compared with the traditional mouse. Logitech MX can be connected in three ways; using the USB-C charging cable included in the package, via Bluetooth, or using Logitech Unifying Receiver. For enhanced comfort and reduced strain, the Logitech MX Vertical Advanced Ergonomic Mouse is the gadget to buy. The manufacturer claims it reduces muscular strain by 10% and its look, feel, and ergonomic design makes this mouse even more appealing. Also, the ability to connect it to a computer in three ways provides a great deal of convenience. Use a damp cloth to wipe the device, and if dust has accumulated around the sensor, use a cotton bud to clean it. How does DPI affect the Sensitivity of the Mouse? DPI is the short form for dots per inch and is used to determine the sensitivity of the mouse. A mouse with a high DPI means it can detect more dots per linear inch. How Do I Use a Vertical Mouse Correctly? It mimics the traditional mouse; place it on the side and ensure your arm is not overly extended when reaching it. Do I need to use Drivers when Connecting the Mouse? Most devices are compatible with Mac, Linux, and Windows operating systems in that they use the OS native drivers. You just need to connect the mouse when the computer is running since the OS will install the hardware automatically. Is it possible to Change the Mouse's Button Mapping? Most native drivers don't allow the user to remap buttons. As such, you need to install additional software for this operation.